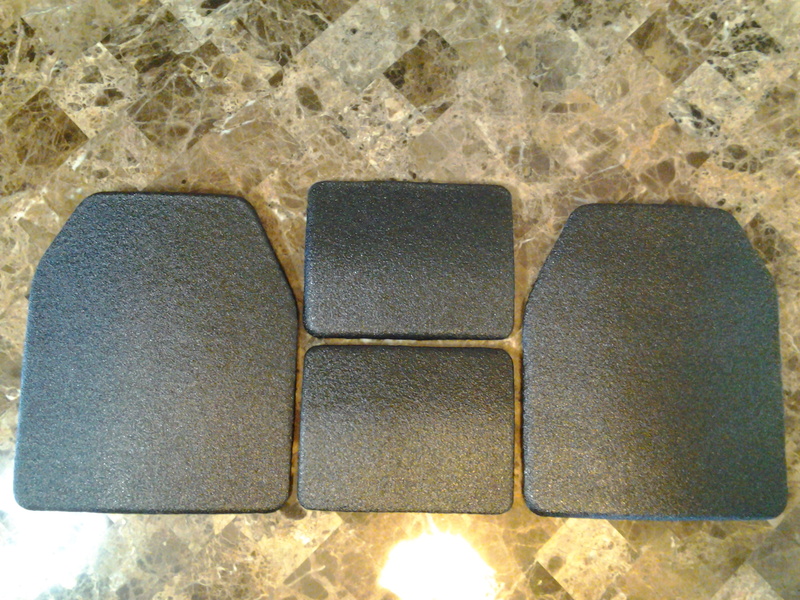 VRaptor ArmorWorks, LLC manufactures and stocks a full line of Level III Armor Plates to be used with your favorite plate carrier. 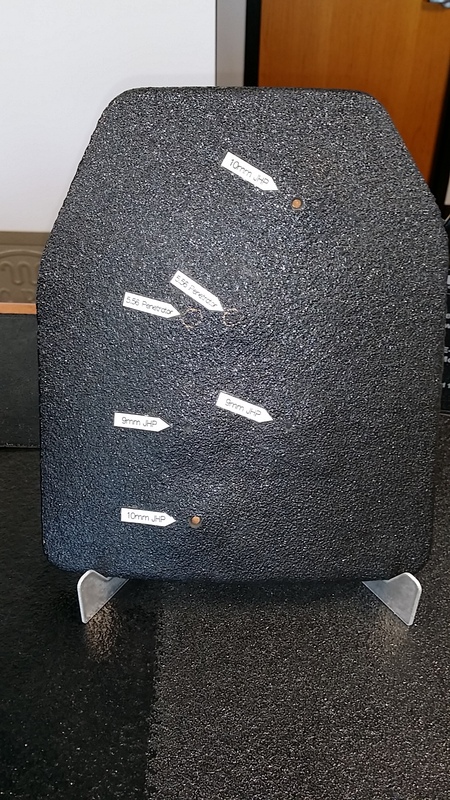 These plates are manufactured right here in-house, using Mil-Spec DOD Certified A46100 Ballistic Armor Plate. 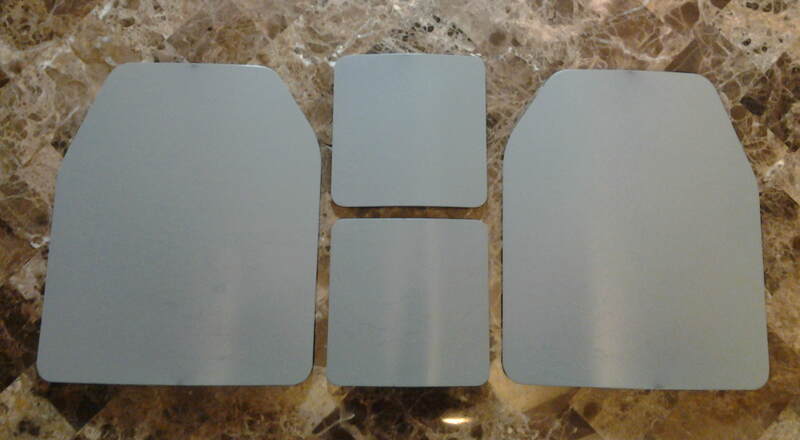 These are 100% made in America Armor plates using 100% American made steel. We can custom cut plates to any size or shape you desire and we stock a full line of “standard” sized plates. The chest and back plates we stock feature our exclusive Comfort Cut profile. We stock them in both 10″ x 12″ and 10″ x 13.25″ sizes. All plates, including side plates are curved for a more comfortable and less bulky fit, to give you more freedom of movement. All plates have rounded corners and all edges have been ground smooth so the plates won’t eat away at you or the inside of your expensive plate carrier. All plates are powdercoated…a very durable finish that resists wear and scratches. 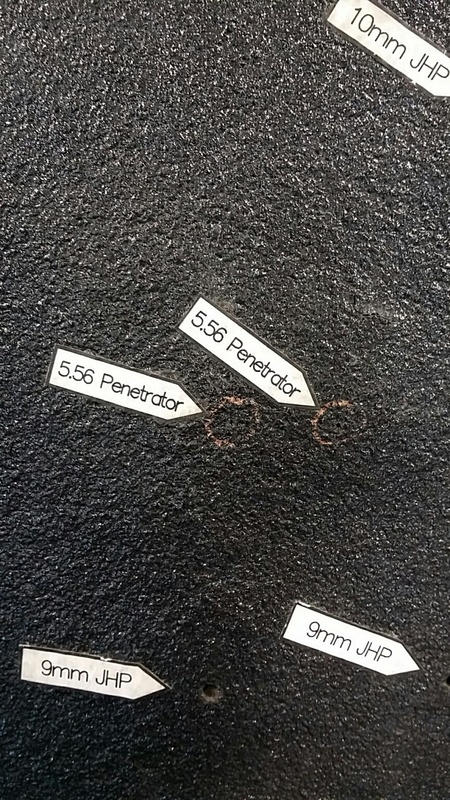 These plates are cut on a CNC Plasma Water table. As you can see from the photos below, these plates (unlike ceramic plates) can take a beating! They are not fragile like ceramic plates. They have no expiration date like ceramic plates. 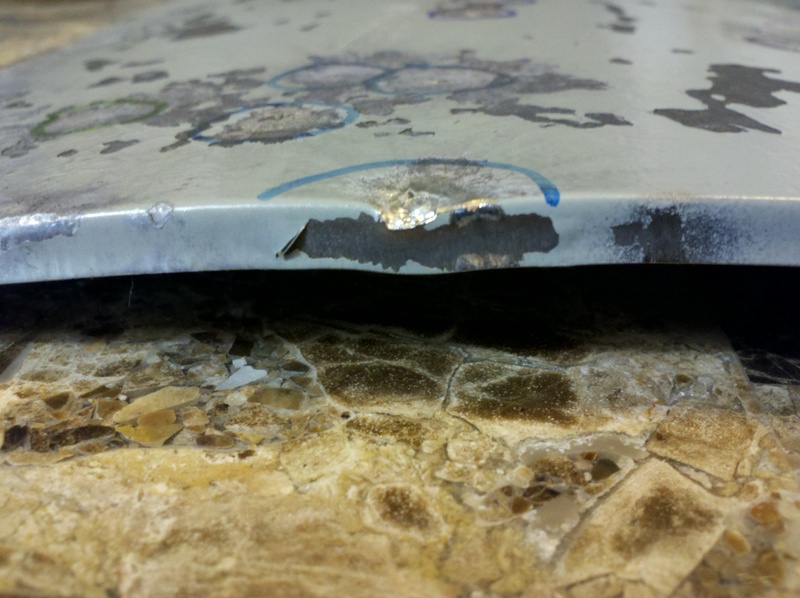 If you were worried about the plasma overheating the edge of the plate and compromising the strength of the edge, check out the photos. The photos speak for themselves. At VRaptor ArmorWorks, LLC, we believe very strongly in the 2nd Amendment and the Rights of the People to Keep and Bear Arms. Unfortunately, there is a current political climate that wishes to destroy our 2nd Amendment rights under the Constitution of the United States of America. Personally, my worst nightmare would be to find out that I had sold armor to a police agency that was responsible for entering the home of a law-abiding US Citizen in order to confiscate that persons legally-purchased firearms or high capacity magazines. As a result, starting immediately, VRaptor ArmorWorks, LLC refuses to sell armor toANY Law Enforcement Officers or Government Officers/Agents living or working inside the state of New York or Colorado. NO EXCEPTIONS!!! I will sell armor to any and all law-abiding citizens in those states, as long as it is legal for you (as a resident of that state) to purchase body armor. If Obama gets his way on ANY new gun legislation that affects background checks, bans firearms, limits magazine capacity or creates higher taxes on guns or ammo or generally makes it more difficult in ANY way for a law-abiding citizen of the United States to purchase, own, store or sell a firearm, I will not sell this armor to ANY government employee. Period. These plates are proudly Made in the USA! VRaptor ArmorWorks, LLC will only sell our Certified armor to law-abiding adults who have no felony convictions, and are not involved with criminal organizations.Residents of Connecticut are prohibited from buying Body Armor online. We will only ship to states where Body Armor is allowed, please know your local and federal laws prior to purchasing. No shipping outside of the USA. By purchasing you agree to this and all terms listed on this page. 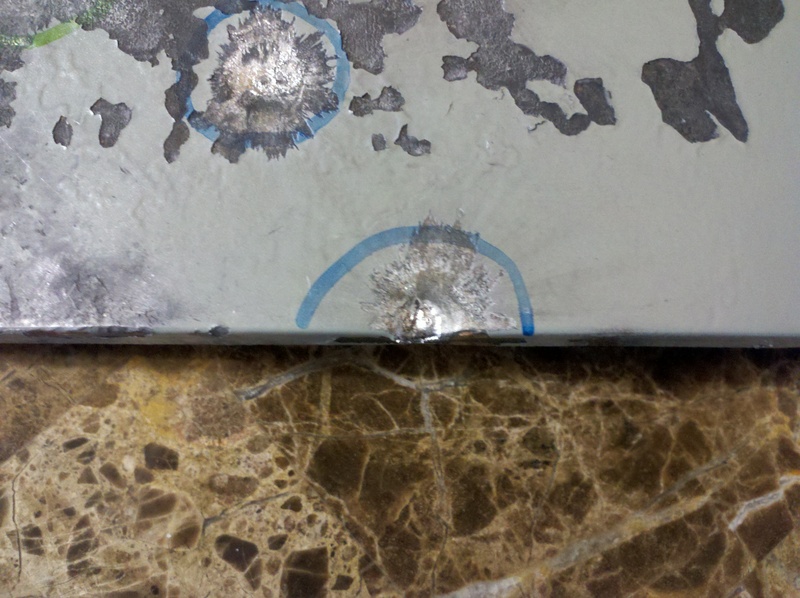 In addition, YOU are responsible to ensure that your ballistic panels are properly inserted and installed. We are not responsible for any injury or death as a result of the use or misuse of this product. No armor is “bullet-proof”. I am selling this armor at a reasonable and affordable price, EVEN THOUGH THE MATERIAL IS EXTREMELY EXPENSIVE TO PURCHASE! My main purpose of selling this armor is to provide armor to people who might otherwise not be able to afford it, and I do believe that EVERY law-abiding American has the right to personal protection. 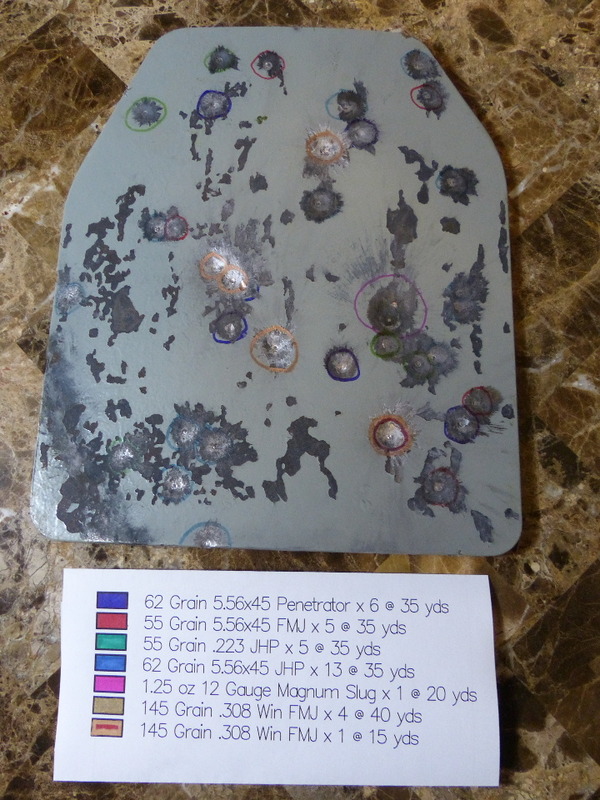 There is no guarantee that every plate I sell will stop any rifle round at any distance. I will not be held responsible for any injuries or death that would result from the use, mis-use or failure of the plates themselves.